As promised, here are the first 15 tips from the 101 I put together three years ago for an app. At 14 to 15 tips a day that will make seven posts. Enjoy! 1. Ted.com videos: TED is a conference featuring talks from interesting speakers from all walks of life, with talks ranging from a few minutes to 20 minutes and above. Ted.com has a page here called the Open Translation Project where all these talks are translated by volunteers into any language, from major languages such as Spanish and Chinese to even tiny ones like Bislama. Most major languages have at least a few hundred talks translated, and even smaller ones generally have a few dozen. When watching a talk it can be a good idea to first turn off the volume to see how well you can understand it reading the subtitles alone. You will be able to come up with your own preferred method for using the subtitles, but one good method is to first watch the video without volume, then to read the subtitles separately at a slower pace, and finally to watch the video in English with the subtitles again. One other advantage to these videos is the ability to read the transcript on the right in full even without watching the video. This text can then be used like any other text - copy and paste it, print it out to read at a slower pace, whatever you like. 2. If making a trip abroad to a country with a large number of people fluent in English (Norway, Sweden, Netherlands, etc.) you will need to have a plan ahead of time on how to use the language while you are there, in order to avoid simply falling back on English to communicate all the time. If you are naturally stubborn about using foreign languages while abroad then this will be no problem, but otherwise it may be best to arrange ahead of time a daily session with someone you know where you teach them something in exchange for using their language for an hour or two, in what is known as a language exchange. One other option is to teach what you know using only the target language (if you are good enough to do so), so if you are learning Dutch in the Netherlands and are a history professor for example, you could meet up with someone majoring in history to tutor them for free, on the condition that the tutoring take place in only Dutch and not in English. In this way you would get to practice your Dutch, and the person you are learning Dutch from will receive tutoring for free. Whatever form the exchange takes, be sure to arrange it ahead of time or as soon as possible after arriving. Highte here means "was named", and is cognate with German heißen, Dutch heten, Norwegian hete, and so on. The large French influence on English also means that you'll be able to find a lot of French words in older English novels that you will not encounter today. This technique will naturally not replace a good textbook or class, but if you are an avid reader anyway you may want to think about adjusting this to the language you are currently studying. 4. Google Translate: Google Translate, while not perfect, is a great way to get the gist of something in another language. If you don't feel like tackling a textbook but still feel like learning something new, find anything in the language you are learning, bring up Google Translate in another window, and simply type it out and watch it turn to more or less correct English. Since Google Translate now translates in real time, you don't even have to hit the translate button. Edit 2013: Google Translate now has an option to save words you look up. Onneks mulla oli kuitenkin varasuunnitelma tilanteen pelastamiseksi. But luckily I had an emergency plan to rescue the situation. Onneks. mulla oli. kuitenkin. varasuunnitelma. tilanteen. pelastamiseksi. Luckily. I had. However. contingency plan. situation. rescue. You've just saved yourself a lot of time otherwise spent looking up each word in a dictionary. 6. Music: music is a great way to learn other languages, but there are a few things to keep in mind. One is that simply listening to music without paying much attention will not help a great deal; you need to spend time looking at and studying the lyrics before listening to a song will do you any good. After all, think of all the English songs people mishear lyrics to - listening to the song over and over again won't do you any good and it's only upon reading the lyrics that you know what is being sung. Because of this you will have to spend as much time reading the lyrics on your own as listening to the song. Since songs are easy to listen to over and over you can make this quite easy - listen to the song once, memorize three new words, listen to it again, memorize a few more words, and continue until you understand it in its entirety and have the song in your head, after which it will repeat over and over for at least the next few hours. Also be sure to pick music that is fairly easy to understand. Radiohead may be a great band but the singing can be difficult to hear and much of the time the lyrics are too abstract to be of much use to a student. So if possible you don't want to choose the foreign language version of songs with lyrics such as "I'll take a quiet life, a handshake of carbon monoxide" (from their song No Surprises) that may be fun for a native speaker to interpret but a nighmare for the student who has no idea whether this is some new idiom or simply poetic license by the writers of the song. YouTube is particularly good for multilingual versions of songs from cartoons and TV shows. Songs from classic Disney cartoons such as The Little Mermaid and Mulan can be found in dozens of languages there, and will often be subtitled and/or translated by the uploader. Even rare languages such as Icelandic are easy to find here. 7. Are you sure you're learning the right language? Even relatively easy languages take years to master, and be sure that you aren't studying Language X when you know you would rather spend the next five years learning and using Language Y. This is especially pertinent if you are inclined to study one language for practical reasons (larger population, your family or friends or school have recommended you learn it) but the language you would prefer to study is related. For example, you may feel obliged to study Spanish but would prefer to learn Portuguese or Italian, or you may feel the need to learn Russian but have a lot of friends in Bulgaria and want to learn their language. In this case you're in luck, because the language you truly want to study happens to be very similar to the language you feel obliged to study, so following your heart and studying the smaller language will still bring you much of the way towards knowing the larger language as well. Spanish and Portuguese is an especially good example as the two languages have a lexical similarity of 89%, meaning that most of the time a Spanish word will be present in Portuguese and vice versa, so learning one is to a large extent learning the other as well. Choosing the more 'practical' language may seem to be the right decision at first, but if you suspect that you will end up giving it up before becoming fluent, then maybe it's best to go with one you truly like. The decision is yours to make, but always remember that whatever you choose you will have to stick with it for years in order to become fully fluent. Now you can contribute to another Wikipedia without worrying that you will end up annoying its readers. Editors on the Wikipedia of your choice often keep an eye on the most recent edits and they will notice the edits you make, and if your edit contributes to the overall quality of their Wikipedia they will not mind making the odd correction to what you have written, especially if you have made sure to make it invisible until they have corrected it. 9. Do you spend a lot of time reading discussions on online forums or sites like Reddit? No sense in spending all your time doing this in English alone. Find a site in the language you are studying and look for the same content on forums there. Do you enjoy watching people debate about philosophy, religion, politics? They do that in other languages too. For one quick example, see this forum in Norwegian where discussions on all subjects take place - from serious subjects such as politics and world news, to recent TV shows, to people looking for jobs, and more. In order to quickly follow the discussions it is best to install an add-on or extension that allows you to translate without leaving the page, such as GTranslate for Firefox or Translate this for Google Chrome. 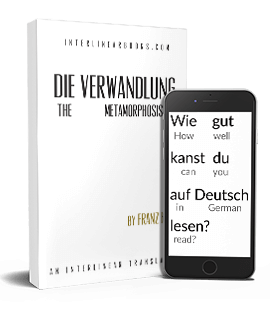 Now you can study your language while following the same discussions you enjoy reading (or don't particularly enjoy reading but can't seem to stop for some reason) in English. 10. Have you changed your language settings online to the language you are studying yet? If you are past the beginning stages (that is, if you are capable of muddling through most of what you read in the target language) there is no reason to keep Gmail, Twitter or anything else you sign into daily in English anymore. Think about how many places you could get a bit more study in every day by just changing your language settings from English. 11. How standardized is the language you are planning to learn? Some languages like Icelandic are spoken with almost no variation throughout the country, whereas others like Arabic are extremely different depending on where it is spoken. This is not simply due to Arabic being spoken by more people though as many small languages vary by region too - Frisian with a population of just 500,000 in a small area has many dialects, as does Slovenian. 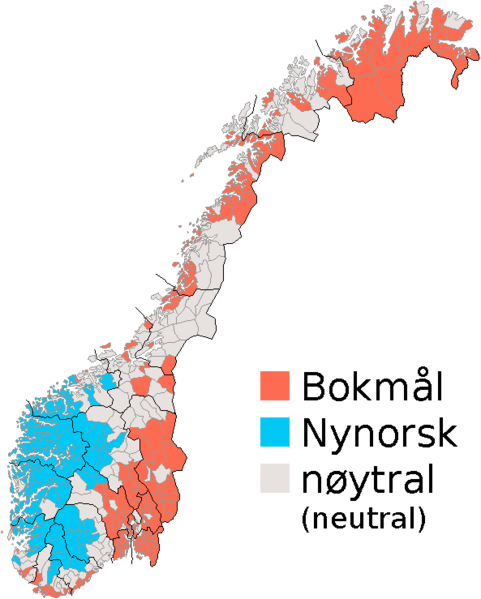 Norwegian is relatively easy for an English speaker to learn, but it has two official standards (Bokmål and Nynorsk) and a lot of regional variation. When planning a trip or long-term stay abroad, be sure that the area you are going to speaks the language you are studying on the streets as well, and not just on national TV. 12. Sometimes, paradoxically, learning a lesser-known language can be easier than a large one. Why? Because learning a large language like German, Spanish or Chinese does not usually stand out, but learning a language spoken by just a few million (or even fewer) people will almost certainly guarantee you friends in that language that will be delighted to see you taking the time to learn it and will almost always want to help you progress. As a student of a much larger language it is difficult to stand out, but if you are learning a smaller language you will almost certainly make friends quickly by people from the country who are delighted that you are studying their language, and will do what they can to help you find places to use it. 13. Three great sites for free language learning content for rare languages online are: the Defence Language Institute's Global Language Online Support System, FSI Language Courses, and Eric.ed.gov. The first has a large collection of text and audio in rare and strategic languages, the second has pdf scans of language courses created by the US government for foreign service personnel, and the third has textbooks on a great number of languages, in particular those made for the Peace Corps. For rare and/or small languages like Armenian, Latvian, Uzbek and so on, these sites often prove to be invaluable. Edit 2013: The FSI language course has gone down recently, and the content can now be found here. 14. When studying another language abroad where local friends of yours happen to speak English fairly well, try to meet up with at least two of them instead of one on one. When meeting one on one the tendency might be to fall back on English if their English is better than your command of their language, but if you meet up with two or three friends then there will be less of a tendency to do this as they will feel more comfortable talking with each other in their mother tongue, and you will have fun trying to follow along. On the other hand, having too many friends at one time may make it difficult to follow along, because the more there are the easier it is for the discussion to switch to topics that pertain to them and not to you - inside jokes, old stories from childhood or school, and so on. Also, simply having more people will mean that you will have to speak up to be heard by the whole group and having to shout in a foreign language is not nearly as fun as intimate conversation with a smaller group. Meeting up with two to four people (in addition to yourself) is probably ideal. 15. When talking in another language, be sure to take an active part in the flow of the conversation. Talking in another language is difficult enough, but if the subject turns to local politics or inside jokes that you could never hope to understand at this stage you may end up completely lost. You don't need to change the subject entirely, but a bit of careful steering away from these and towards subjects you know will help to keep up. If you are in Germany for example and the subject of taxes comes up, everyone may start talking about vague subjects like filling out tax forms and the state budget. Here you might want to steer the conversation towards what Germans think of taxes in general compared to your country, and when that happens (especially if you are from the US) they will likely start asking you why Americans are so opposed to higher taxes compared to Europeans, and now you will be talking about a subject you know something about, while sufficiently general that you won't need a great deal of specialized vocabulary to participate.